Responsive layout example, demonstrating an integration of the ShieldUI jquery widgets in the Bootstrap layout system. 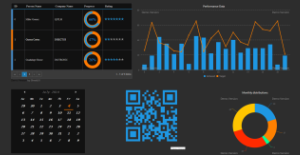 ShieldUI Sample Sales Dashboard Application, featuring Grid, Chart, QR Code and ProgressBar widgets. 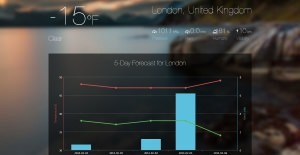 ShieldUI Weather Forecast Sample Application featuring Chart, Grid and Bootstrap responsive design. A web application for online reporting, using ShieldUI along with Bootstrap 3.